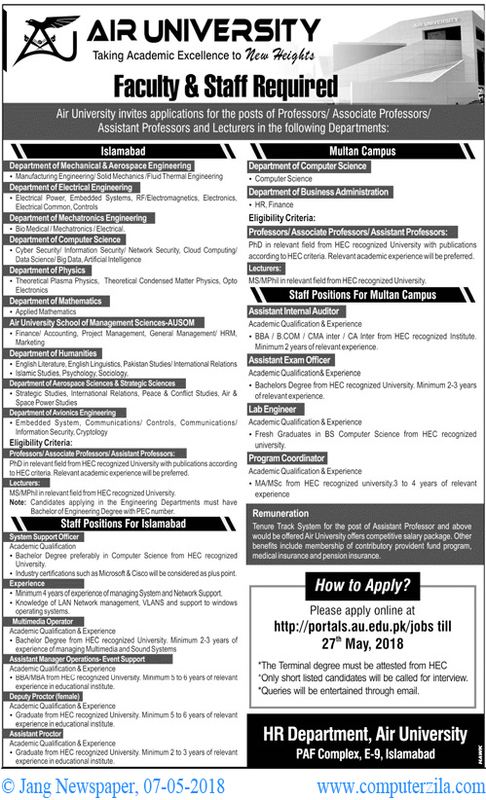 Faculty & Staff Required at Air University (AU) in Islamabad, and Multan Cities. Air University is a Private Organization which requires employees for Administrative, Teaching, and Staff Jobs in cities Islamabad, and Multan. HR Department, Air University, PAF Complex, E-9, Islamabad.